Google Buzz, the social media service that has not been as popular as expected, attracted a lot of unfavourable attention in February due to privacy concerns. At that stage Buzz, which aggregates social media content, automatically included Gmail users’ frequent contacts on their public Buzz profiles. However even though Google quickly changed their policy to give its users a better understanding of the privacy features of the service, they still got stuck when Gmail user Eva Hibnick filed a lawsuit against the company in February. Apparently the proceedings of the settlement of $8.5m will be donated to non-profit privacy groups according to the text of the settlement which was made available to the public. The settlement also requires Google to “undertake wider public education” about how the privacy aspects of Buzz works, but no specifics were provided. 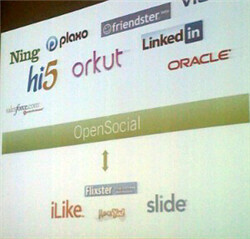 The more established social networking sites continue to expand while Google Buzz does not seem to be gaining a foothold. In fact Google has never disclosed how many users Buzz has. Application bugs and the privacy problems in February have certainly not helped. At the sort of scale Google Buzz is aiming at, only a few social networks including Twitter, Facebook and MySpace really matter. Buzz is supposed to make it easier for users to integrate the information feeds they receive on each of these networks. In addition, Buzz also collates all the contact information and profile information of friends and acquaintances that an individual has listed on their various social networks. It is an appealing product but the jury is out on whether Buzz will gain any traction soon.